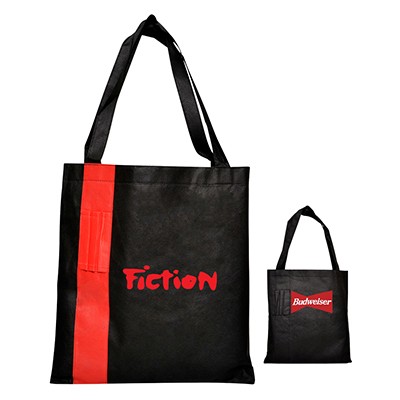 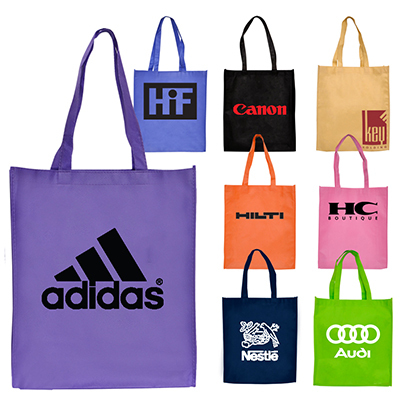 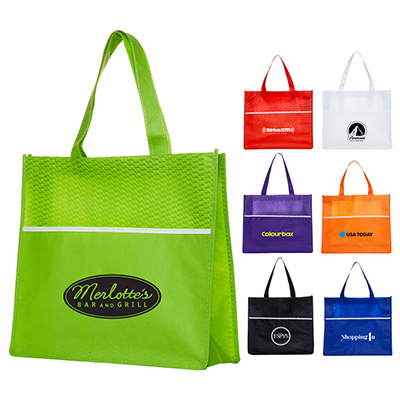 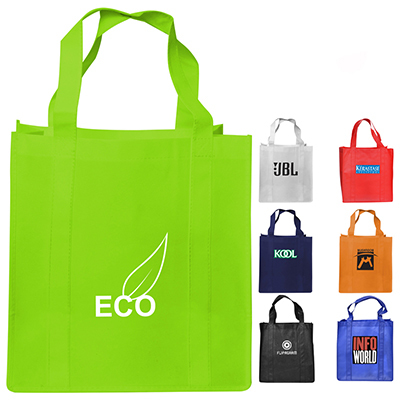 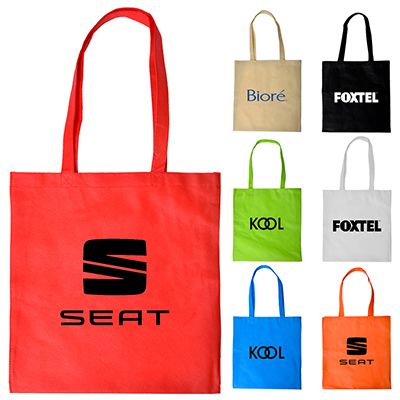 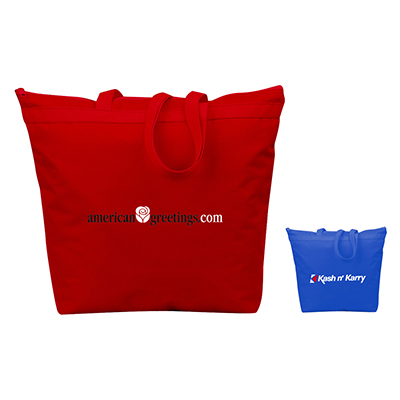 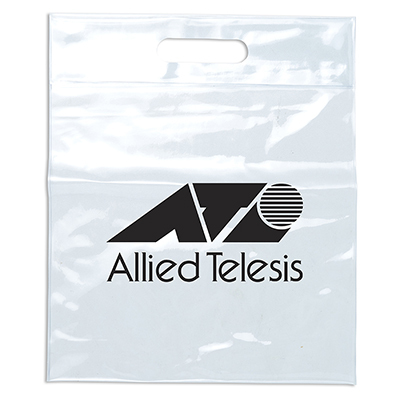 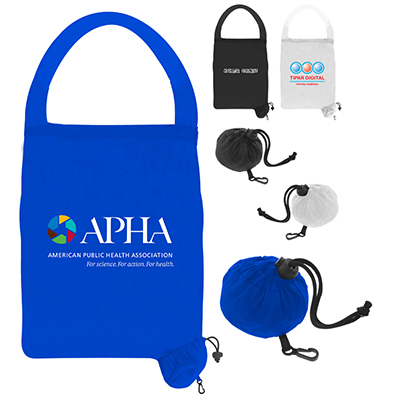 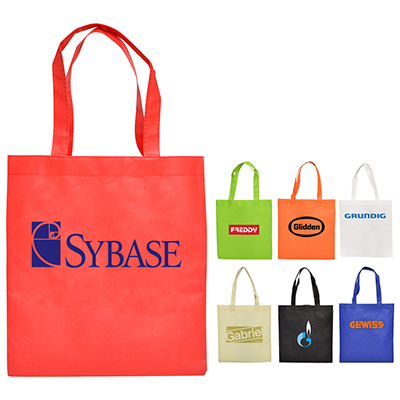 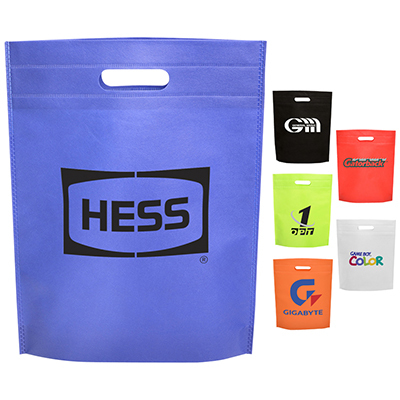 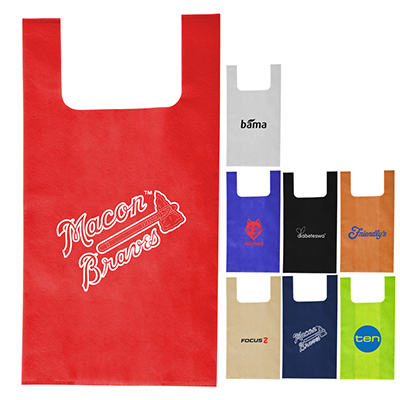 A 90 GSM Non-Woven tote bag with a zippered main compartment and front pocket with velcro closure. 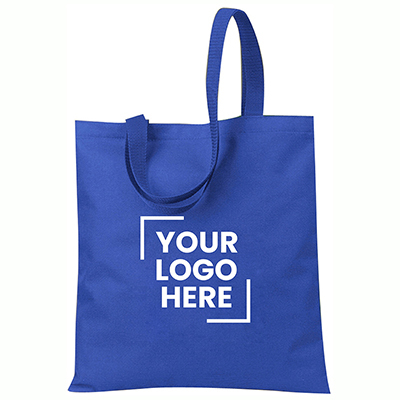 Reinforced X stitching straps. 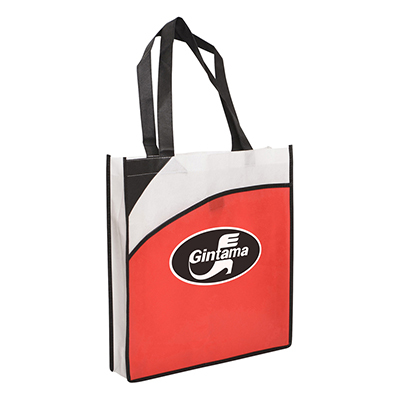 This non-woven tote bag is made with a beautiful heat pressed wave design and features a side gusset and front pocket. 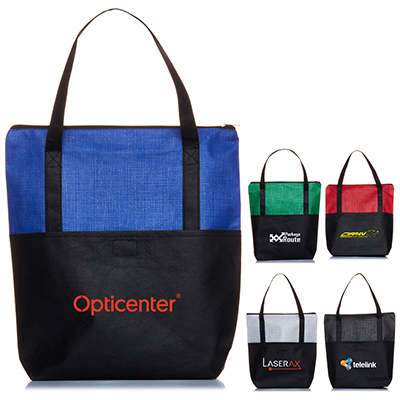 This bag quickly folds into a 63mm pouch with clip. 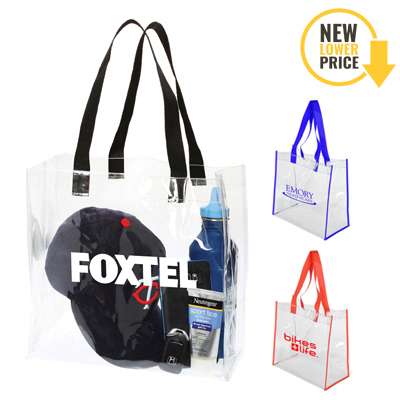 It is made of water resistant 170 denier polyester with no gusset. 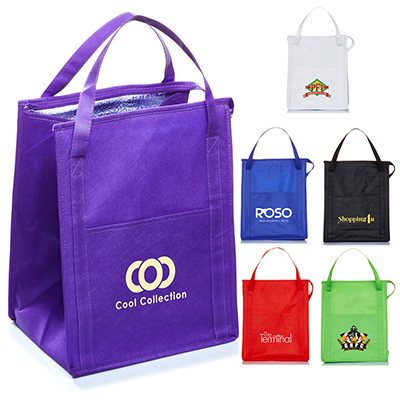 Each bag features one large 50mm strap and is reusable.